Today I want to show you, how you can find best keywords for your blog or website. I assume that you have your “niche”, so we’ll focus our attention only on keywords. And best keywords for me means that there is a lot of searches for the keyword, and competition with the keyword is not to high. There are a lot of tools, you can use for it. Some of them are free, and some aren’t. Most famous free tool for researching keywords is Google Keyword Tool. I like this tool for three reasons – it’s free, it’s simple and you can use this tool on each computer, which has access to Internet. Since one year I also use paid tool, Market Samurai. I’m very happy with that tool (it saved me a lot of time), and I want to show you how you can use it. Regardless the tool we will use for it, we should choose match type as “Exact” – this will give us proper amount of month searches. Competition for 2 first phrases is low and only for “keyword research tool” is medium (according to Google of course). You may think “Great, I found gold mine for me! There is so much searches for phrase “keyword tool”, and low competition, I’ll have a lot traffic on my site with a little effort”. Unfortunately we must go deeper to check real competition for our keywords. How we could do it? Various SEO masters use different criteria to find keywords with low competition. And for each phrase we should repeat the process of typing our keyword with operators 3 times – so it’s really time consuming. After entering our keywords into the tool in KEYWORD RESEARCH section, we must setup our research. So we check in Total searches, SEO Traffic, SEO Comp, Title Comp and URL Comp. After it we choose Match Type: Exact and Period: Monthly. 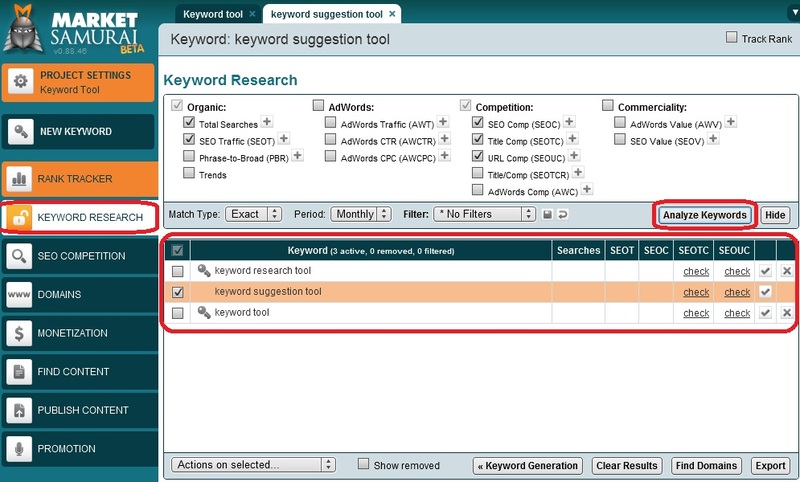 Next we click on Analyze Keywords button. Now we can compare all of the keywords altogether. 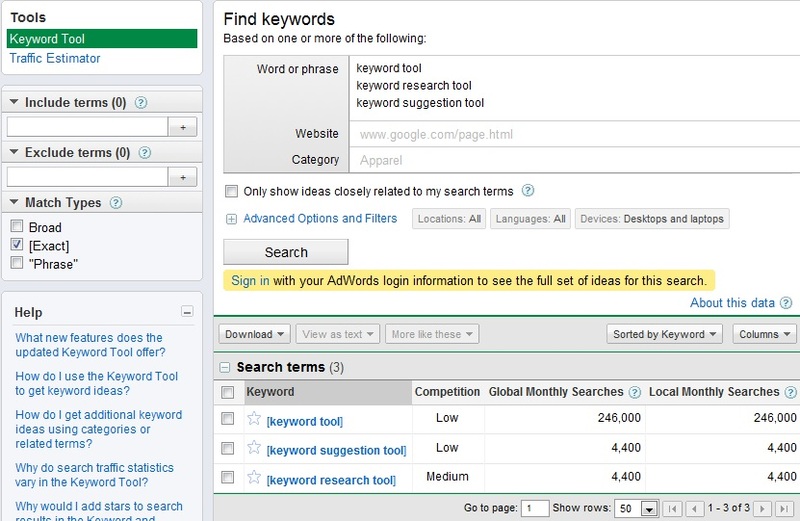 And we can see, that competition for “keyword tool” is not low, as Google Keyword Tool suggested, but is really big. If you have questions or some notes about this topic – don’t hesitate and leave a comment below. And how do you find keywords for your website? Hi Francis, thanks for commenting. And what is that one key point 😉 ? Thanks Chris for sharing this great post. i like it.Charis i am want to ask you a question. hope you will answar me. Free days ago google remove my blog. can i get it back ? So great to hear a clear, concise and well narrated piece. Clearly not read from a script yet devoid of um’s and er’s and dogs barking in the background. Thank you for such a simple and useful tool, which incidently proved my keyword “useless boring drivel” is not as popular as I anticipated. Clearly not read from a script yet devoid of um’s and er’s and dogs barking in the background. Thank you for such a simple and useful tool, which incidently proved my keyword “useless boring drivel” is not as popular as I anticipated.